By becoming a WFYI Sustainer, you'll never struggle to remember when you last gave. Your monthly contribution automatically occurs through your checking account or credit card and will continue until changed or cancelled by you. WFYI Sustaining Memberships begin at just $5 a month - you can choose any amount that works within your budget. Ongoing WFYI Membership – no renewal reminders and your membership never expires. 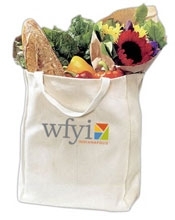 The opportunity to enter in all WFYI membership drawings. Your choice of thank you gift from those available at your giving level each year. Exclusive invitations to select WFYI events. Become a sustaining member online or call our member services team at (317) 715-2009 to start or convert an existing gift to sustaining support today!